Sadi Carnot was born in France in 1796. His life took place during turbulent times; France endured thirty-five years of war, revolution, and unending political turmoil. Twice Napoleon came to power, and twice he was driven out and the monarchy restored. Sadi Carnot's father, Lazare, was one of the most powerful men in France during the early nineteenth century. Not only did he serve as a member of the five-man executive Directory and briefly hold the role of Napoleon's war minister, he also made advancements in science and engineering. Lazare was interested in broad operating principles that govern machinery; his most important conclusion was that accelerations and shocks in the moving parts in machinery must be minimized because they lead to losses of work output. Although Lazare is most remembered for his work in politics and warfare, his ideas built a foundation for his son Sadi to begin his own work. His work on water machines (such as waterwheels) was particularly influential to Sadi Carnot's thinking; his theoretical heat engine is somewhat analogous to work done when water falls from a high place to a low place. 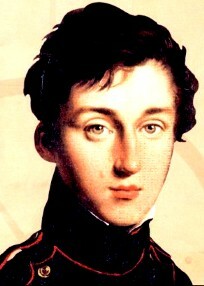 In 1812, at age 16, Sadi Carnot attended Ecole Polytechnique in Paris. His instructors included Siméon-Denis Poisson, André-Marie Ampère, and François Arago. After graduating, he attended a military engineering school, but later found that a military career was difficult for the sun of a famous, now-exiled political figure. Carnot's attention was caught by steam engines; he was convinced that Britain's advanced steam engines and France's neglect of the technology helped lead to Napoleon's downfall. In 1822-23 he wrote a paper on the work produced by steam, but never published it. He did publish his one major work in 1824: a book called Reflections on the Motive Power of Fire. In this book he put forth his Carnot cycle, which describes the operation of a theoretical ideal heat engine that operates at 100% efficiency; that is, the amount of work produced by the engine would be equal to the heat energy put into the system. This engine is impossible to construct, due to the fact that there is no way to build a machine that does not lose at least a small amount of energy in friction, noise, vibration or other energy-sapping imperfections. The concept is useful, however, in establishing the maximum energy that a heat engine operating between two temperatures can produce. One flaw in Carnot's theories was his concept that heat was actually a weightless, invisible fluid called caloric. This incorrect caloric concept is understandable; at the time, it was the accepted explanation for heat. Additionally, Sadi Carnot derived much of his conceptual understanding of heat engines from Lazare Carnot's water engines, which made the connection between water and caloric "heat-fluid" seem natural. Carnot was a scientific outsider. He wrote Reflections on the Motive Power of Fire in a way that was not accepted by the scientific community of the time. He did not express his ideas in terms of the particular mathematic style that was prevalent at the time; he intended his paper to be readable by the general public, so he expressed his ideas in readable sentences. His work was only taken seriously after his early death of cholera in 1832. Emile Clapeyron, a fellow student from Ecole Polytechnique translated his book into mathematical terms. In the 1840s and early 1850s, Rudolf Clausius and Lord Kelvin extended Carnot's work into what is present day thermodynamics.